Each year the domain of digital marketing gets closer to metaphysics. Think about the hub: a grand unified vision that in its ideal state should give us total knowledge of the customer, analytics that predict the future and the ability to communicate anywhere. Add to this complete information about the impact of our efforts — what we call perfect attribution — and we have a system that looks like suspiciously like a universal mind. It’s time for marketers to pay attention to philosophy. Three millennia of people smarter than ourselves have pondered questions of knowing and truth, correlation and causation, time and language. In the spirit of honoring the hub, here are a few thoughts about what we can learn from the metaphysical masters. 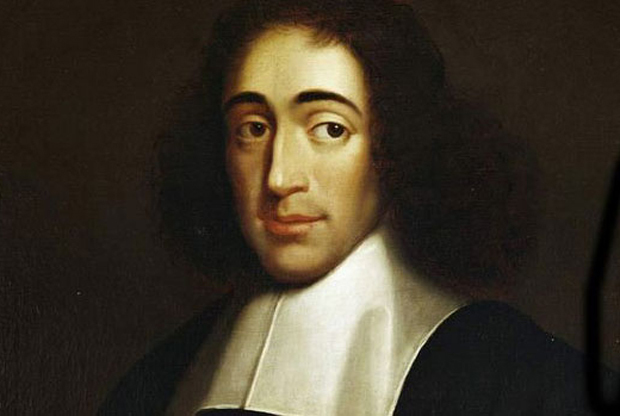 Baruch Spinoza was a rationalist in the tradition of Plato, believing there is a deeper truth behind the evidence of our senses — the essence of things. He built up an elaborate philosophical system based on a small set of axioms, like a geometric proof, which makes his vision logically compelling but no fun to read. As a writer, he’s like a user’s wiki. But his spirit was optimistic and deeply felt; he was a pantheist, meaning that he identified god with nature and saw all of us — customers, prospects and digital marketers included — as part of the same living spirit. So he was a determinist. This comprehensive, comprehending spirit-world did not work at random. One thing led to another, like a journey set up in a multichannel campaign management system. And there was no real free will. Spinoza would say a single view of the customer is possible, as is predictive analytics, with the right information. Of course, only god has this information. But marketers are working on it. After dipping into Spinoza’s thousand-page “Ethics,” the “Pensees” will feel like a cat mystery. It’s paws-itively fun. Pascal’s vision of people/customers is very bleak. He believed that despite our frantic activity and frequent Snapchat filters, we are all of us — in our truest selves — absolutely desperate and lonely and afraid of the abyss. To combat our existential anxiety, we seek continual diversion. Sometimes, we regret this. We always leave the room. This is good news for marketers. Pascal would say that advertising — say — is something that we actually crave because it pulls us back from the abyss, for a moment. This raises the stakes, of course. When we think of marketing as a balm for spiritual annihilation, we take it more seriously. David Hume was an empiricist. He believed that the object of knowledge is not some deeper realm of concepts and forms but just our world, filtered through our senses. Evidence matters to Hume because it is all we can actually know. In other words, the attributes about our customers that we have in our customer data platform or DMP actually are our customer. This is a practical approach. However, Hume was as skeptical as the most pedantic member of your data science team — the woman who continually points out that your sample “does not have stat sig.” He’d agree with that woman on another point: correlation does not mean causation. Hume went so far as to say that seeing one thing follow another, even frequently, doesn’t really prove anything. We aren’t perceiving a “cause” at all, just things in a row. He encourages the extreme skeptic in all of us. Immanuel Kant is someone I cannot explain, even to my cat, Jerry. But let me point to something I think he said that has profound implications for humans, including marketers and the bots who love them. Like Hume, he was concerned with how we know — or think we know — things, how our minds work. Since marketing is about changing perception, he can help us. Ultimately, he did not believe that we perceive reality — whatever that is. We think we do, but we don’t. Even something as seemingly obvious as “time” or “space” is not so objectively real as we think. (Einstein would later agree.) Our entire conception of the outside world is created in our minds; it is a kind of story we tell ourselves to make sense of the chaos around us. So we all have categories and we fit information into these categories. It’s a deep idea and makes sense of our biases and even our politics. Marketers are particularly guilty of creating lazy mental models of their market and fitting evidence into these models. Millennial! Mobile-first! Retarget! Are we really influencing anything with such reductive assumptions? Not just segments but our assumptions about why people buy or who they want to be (aspirations) — Kant would ask us: Where did these mental models come from? Hegel is a man who needs no first name. Like Spinoza, he created a massive philosophy that explained a lot and has been used by nationalists, Marxists, utopians and (now) marketers. His best-known tool was the dialectic, similar to Plato’s approach in his dialogues (you know: I say X, you say Y, we arrive at Z). Which repeats the process as a new Thesis … and so on. This kind of thing happens in our culture all the time. Let’s call the thesis a “trend.” The antithesis is a “counter-trend.” Hegel might say each trend creates a countertrend. For example, a few years ago there was a low-carb diet trend (thesis). A little while later, cupcake and candy shops started to appear (antithesis). Coincidence? Whatever market you’re in, pay attention to the countertrends. As Hegel might say, that’s where the real money is. LOL:) Having just completed Neal Stephenson’s Baroque-era novel QUICKSILVER, many of these historical characters strike an instant chord! I see many similarities between Marketing Hub and Payment Hub, the latter being the mythical beast into which bankers think they’ll eventually be able to consolidate all kinds of payments processed by their organizations. Seven years ago, Tower Group published a report on Payment Hub : Feasibility Thereof. I’ll quote a passage from this report and leave it to you to decide how much of it is applicable for Marketing Hub. This is awesome! I’ve been wanting to connect philosophy and marketing for a long time (what’s more philosophical than trying to connect disparate things together based on the slightest inkling of similarity?) but you beat me to the punch! Hah – well, there are a lot of philosophers that were left out of this one – so I’ll look forward to your take!